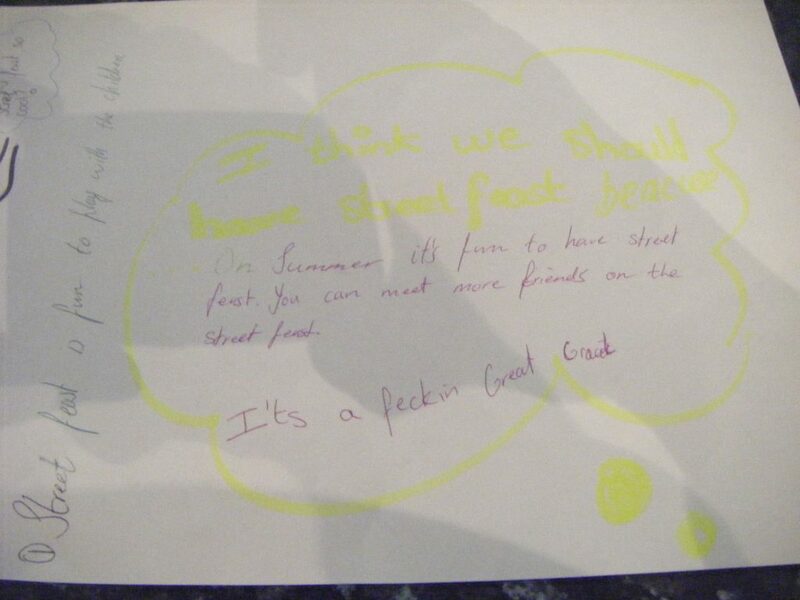 Every year, people who take part in Street Feast contact us to share their stories on how Street Feast has helped them to be-friend their neighbours, kickstart new community initiatives in their area, or simply increase the smiles on the street. 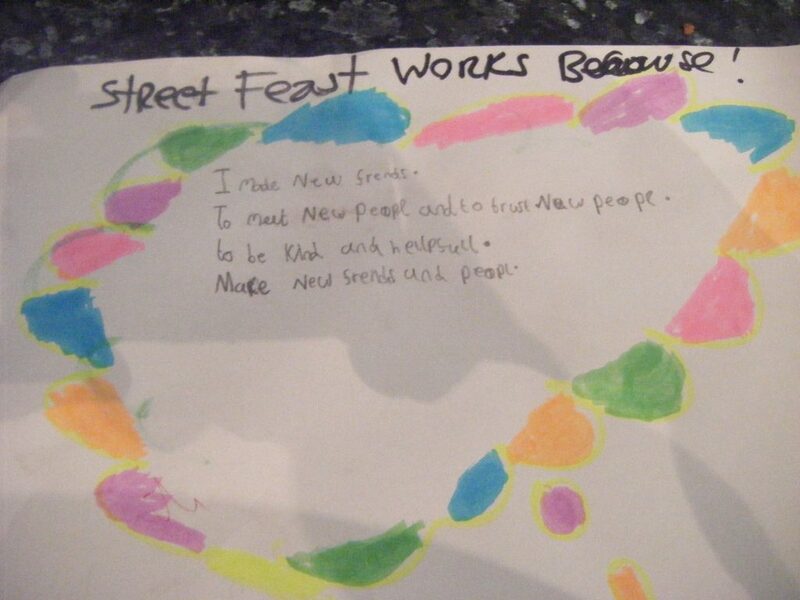 Whether it’s about strengthening the community or sharing a piece of cake, we truly appreciate when people tell us what Street Feast means to them. 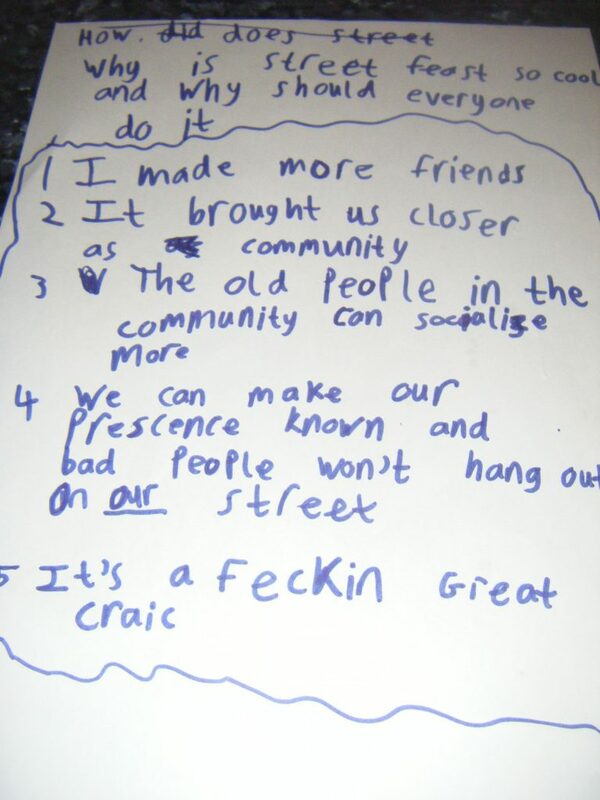 So, our hearts melted when we received these letters from some kids aged 8-12 from Drogheda. Leave your house and have fun on a nice summer day. Have fun activities!And play with others! When someone new is in your street, make them feel welcome. Do a jumbo sale for charity for old people. Find a subject you can talk about with your new friends. People should leave their home and don’t be shy. Have a great time and take a funny picture at the end! I made new friends . To meet new people and to trust new people. To be kind and helpful. Make new friends and people. You make new friends, and I have so much fun on a nice summer day. 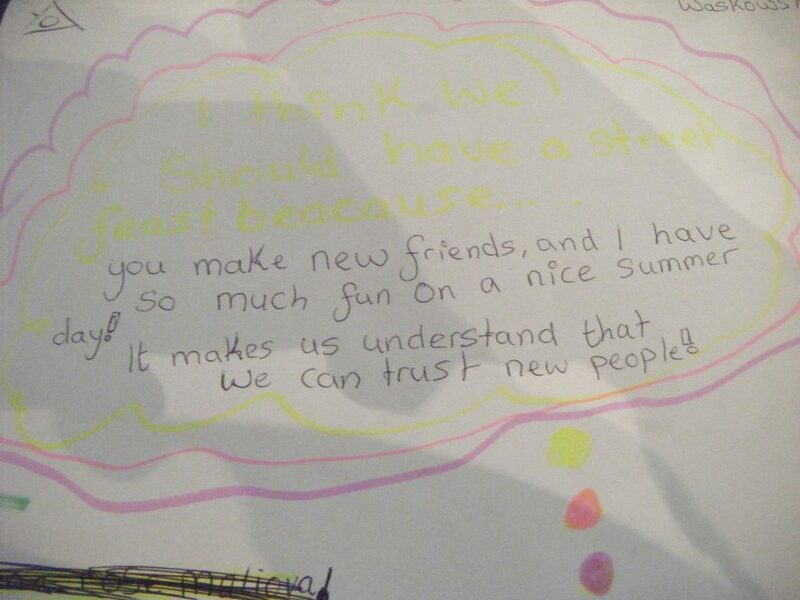 It makes us understand that we can trust new people! It brought as closer as community. The old people in the community can socialize more. We can make our presence known and bad people won’t hang out on our street. It’s a feckin great craic. 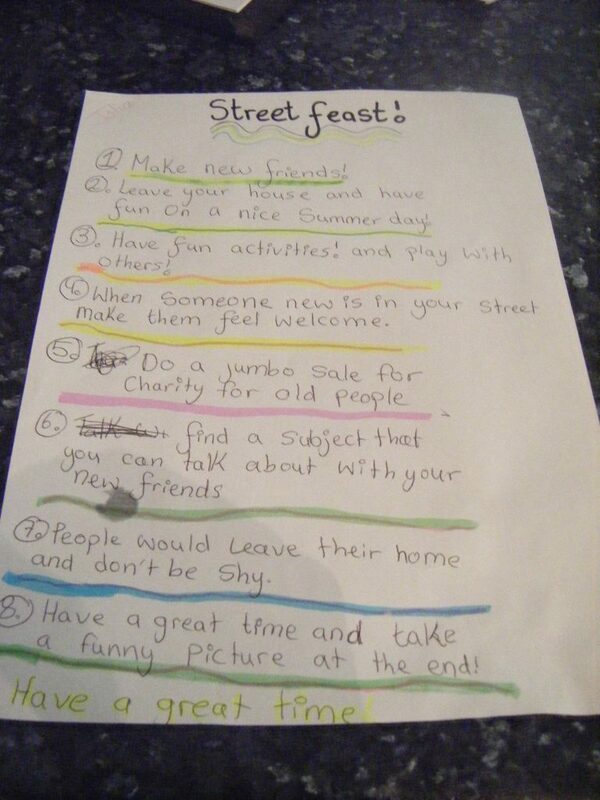 I think we should have a Street Feast because so we can meet new friends and to get people out go their houses. 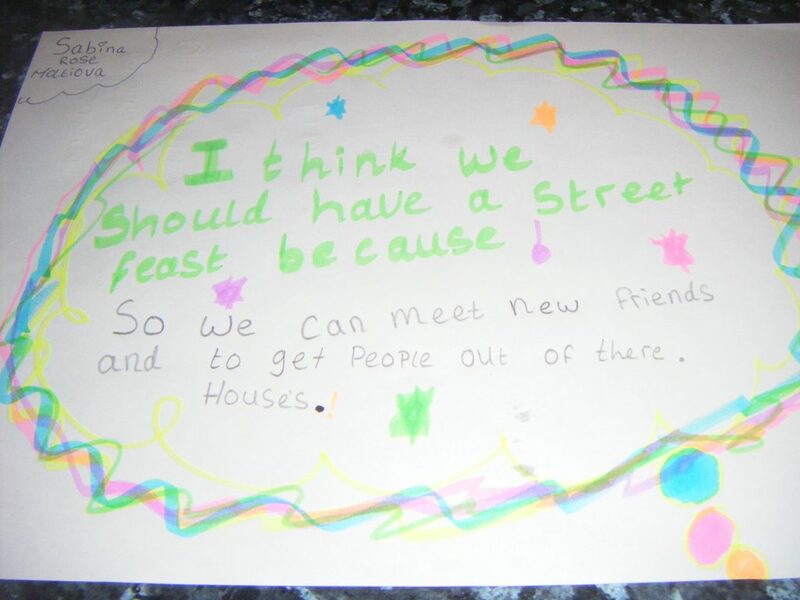 On Summer it’s fun to have a street feast you can meet more friends on the street feast. With thanks to Audrey Smith for the photos.